Can You Eat Poison Ivy: Does Eating it Make You Become Immune to Rashes From It? One of the most common rumors among those who like to wade in the deep wild, is the claim that one can develop immunity to poison ivy rashes, through ingesting controlled amounts of poison ivy parts, particularly berries. This practice is not only ineffective, it is also harmful! Can you eat poison ivy is not a question you should think about seriously, though many would still keep claiming one can become immune to poison ivy rashes if you do it properly. 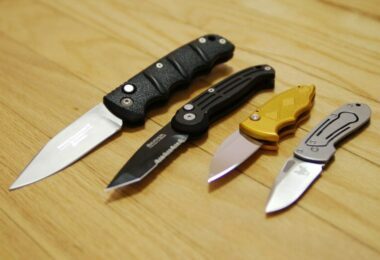 Let’s first learn some basics. This poisonous plant has one active compound called urushiol, and it is what makes rashes when we come into contact with poison ivy. However, what is most important is that this compound is not a classical, chemical poison, but just an allergen. That means some people and some species of animals are completely immune, and can both get in contact and ingest the plant. Since it doesn’t meet the biological definition of organic poison or venom you can’t use it as serum or an ingredient in any effective serums to fight the poisoning or become immune to it. For example, snake venom is a mix of many compounds which need to be stacked up to make a synergic action of poisoning any affected organisms. Modifying components in a venom can turn it into a venom-repellent and that’s basically how anti-venom serums are made. 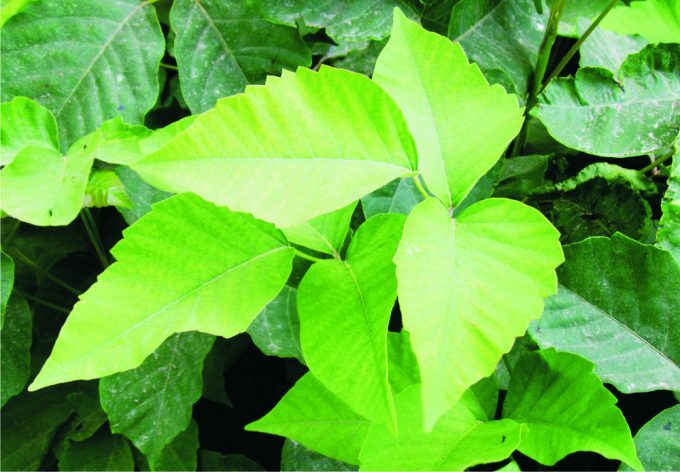 Owing to the fact that poison ivy (and some other poisonous plants) contain only urushiol as an active component, it is not possible to get the serum through any kind of modification or controlled intake. Just like most other allergens, urushiol from poison ivy is not harmful for everyone. Some people are genetically resistant to urushiol, and they can touch, eat, chew and drink the plant in its fresh form or as produce (berries, tea…) without developing any symptoms associated with it. Note that those who are immune, and it is around 15% of the US population are immune since birth. This is where the confusion begins. First, a person who is immune to poison ivy, but is unaware of it, tries eating small amounts of poison ivy leaves or sometimes a berry. In the process of eating they use gloves to pick and put the plant parts into their mouth, believing they’re allergic to it while they aren’t. Sometime upon eating it, they start exposing their skin to the plant’s leaves to find out they get no rashes at all. Since they weren’t aware of their congenital immunity, they start believing that they have developed urushiol immunity only since they “treated” themselves with poison ivy. So they start spreading the news throughout the populace, showing evidence of their immunity to others, many of whom are not immune to urushiol, nor can build immunity to it, ever. Other than that, it is believed there should be people who become more immune to symptoms caused by poison ivy. There are testimonials and claims of people who allegedly were allergic to poison ivy exposure, but upon eating it these symptoms lessened, and the effect lasted for about a year. Many people keep claiming they have been repeatedly eating controlled amounts of poison ivy to reinstate the alleged immunity to the plant. Exposing the skin top poison ivy, poison oak and some other plants producing urushiol causes an allergic reaction known as urushiol-induced contact dermatitis. The severity of symptoms is not the same in everyone allergic. While many will relieve symptoms by just soaking the affected areas in cold water, others will require treatment and pharmaceutical remedies such as topical or oral corticosteroids. In some people even skin exposure to urushiol can be dangerous and life-threatening. Same is with attempts to ingest the plants. Despite most people will just try with very small amounts such as eating one young, underdeveloped leaf of poison ivy, the amount of urushiol released can be very dangerous if the person is more sensitive to the allergen. Note that treating symptoms developed through eating poison ivy is much more complicated and requires more effort than treatment of urushiol-induced contact dermatitis. Eating fresh poison ivy can affect both digestive and respiratory organs. The most dangerous and critical power of urushiol is making the airways swollen and clogged. The effect lasts long enough to suffocate the affected person if the dose of urushiol taken is large enough. Death from eating poison ivy is not uncommon and many cases are addressed to voluntarily ingesting it, i.e. the victims knew what they ate and why. Despite all that, owing to the aforementioned reasons, many people still keep trying to develop immunity through eating the plant and its produce, though fresh leaves remain the most common way of administration. There are some other ways on which people are trying to intake controlled amounts of urushiol trying to become immune to allergy. 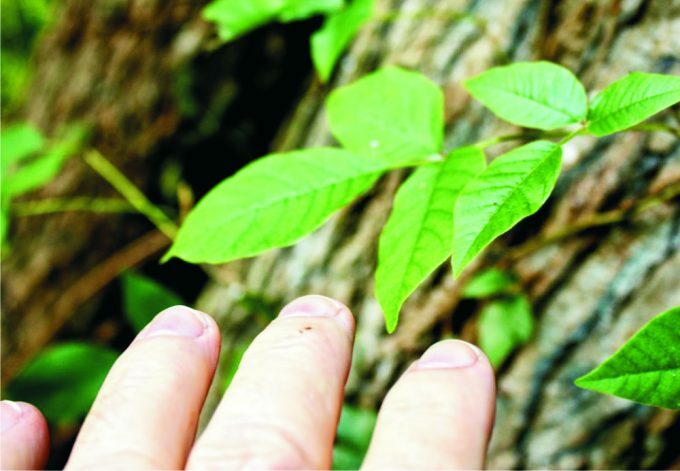 Urushiol oil can be extracted from poison ivy, poison oak and other urushiol-containing plants to develop what is believed to be a “remedy or ”serum” for poison ivy contamination. Urushiol containing pills, were once a popular product in attempting immunization, though these are no longer marketed for obvious reasons. Besides that, there were numerous experiments with injections of diluted urushiol, but the results and findings were not satisfactory to make it a remedy, so that doctors and pharmacists can recommend someone trying them to become immune to poison ivy bruises. Today, we can find homeophatic solutions with extremely small amounts of urushiol diluted in water. While the old methods of administering the allergen can also be considered homeopathy, today modern methods use amounts so small that it is hard to believe it can really fight off the allergy. One is for sure, these solutions are so diluted that they are rendered safe, unlike some old methods of administration, but it can hardly work towards developing immunity to urushiol. What can come as a replacement are pills containing extracts of some other plants, such as jewelweed. Goat is one of many animals known to be naturally immune to urushiol. It is also found that they enjoy feeding on poison ivy vines and are sometimes used in poison ivy control. 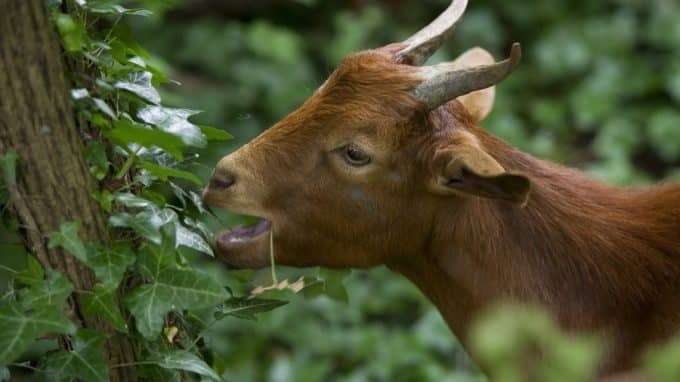 Some people believe goat milk can help humans develop an immunity to poison ivy contact dermatitis, primarily if it is milk from goats who ate a lot of poison ivy. Despite it’s a proven fact of science that goat milk does not contain any urushiol, as it is entirely broken down in the animal’s digestive organs, people keep thinking that regular drinking milk of goats who fed on poison ivy will get them some compounds which they believe bring the goat an immunity to this human allergen. While it is perfectly safe to drink milk of goats who fed on urushiol-containing milk, its ability to make one more resistant to urushiol contamination, is debatable. Some people claim drinking goat milk is especially effective if it is taken during childhood, and it is possible that some chemicals which make goats resistant to urushiol can be acquired this way. Note that most other cattle reacts to poison ivy, poison oak, and poison sumac, in a manner similar to humans, so goats are believed by many to have some special ability to help us get rid of painful experiences with it. 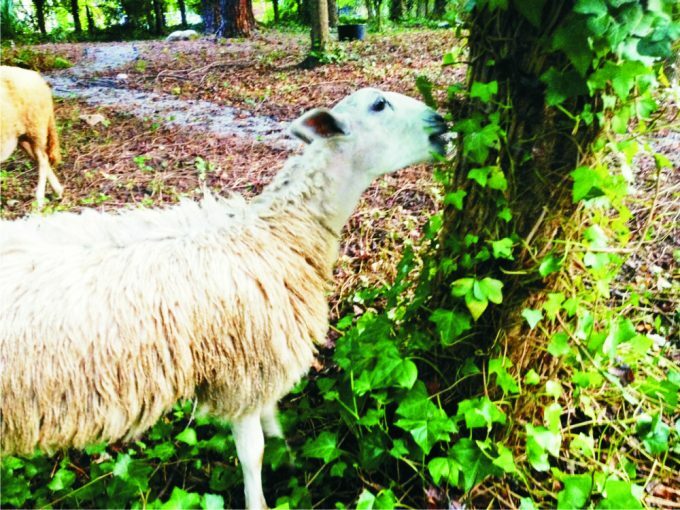 Overall, we are not assured in the efficacy of this method, but, unlike eating fresh parts of poison ivy plants, drinking goat milk is perfectly safe and recommended for some its other health effects. Other ways of taking what is believed to be controlled amounts of urushiol is preparing tea from poison sumac, ivy and oak, eating other parts of urushiol plants such as berries and roots, cooking the fresh plant and inhaling the smoke from burning these. What is common for all these methods is that it has little or no positive effects to any aspect of human health and it is much more likely to attain a harmful allergic reaction of internal organs to urushiol exposure, which in many cases can be life-threatening. 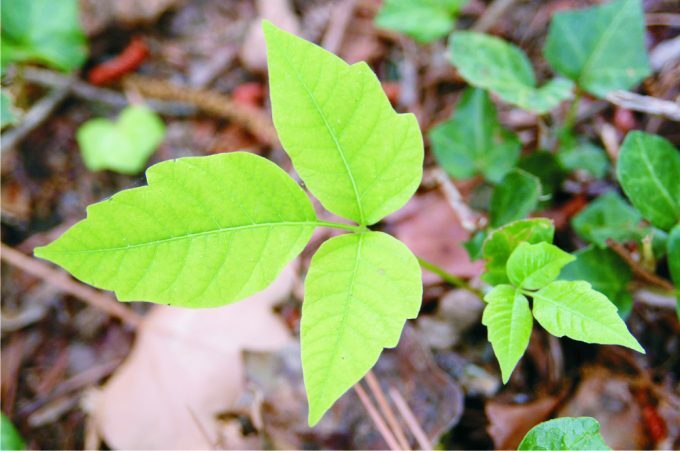 Whilst urushiol is a powerful and highly resistant allergen, there are some active components and herbs which can alleviate the symptoms of poison ivy contamination. Currently there are no known solutions which can prevent the poison ivy rashes, but after-contact remedies which can be taken topically and orally do exist, and include both pharmaceutical drugs such as oral and topical corticosteroids as well as herbal products from various plants, in particular jewelweed or touch-me-not. Note that taking any of these remedies as a preventive measure is not effective. The only prevention that works so far is mechanical protection of your lower legs and feet and learning how to recognize the plant should you know how to stay away from it. Some chemical compounds are known to effectively neutralize urushiol quickly, not allowing it to reach to your skin. These compounds are safe for topical use and thus are used as active components in many poison ivy barrier creams and barrier lotions. Bentoquatam is one of the most commonly used compounds in making poison ivy barrier solutions. The creams or sprays (though creams are a more effective way of administration) need to cover all parts of the skin, which may be exposed to any urushiol-containing plants. Bentoquatam (Ivy Block) solutions are known to be highly effective in intercepting and absorbing any urushiol oil touch with the skin. However, it has certain disadvantages. Bentoquatam blocking creams and sprays should not be used in kids aged 6 or less. Also, these should never be used as a means to heal existing urushiol-borne rashes, as these can only worsen the condition. These creams and sprays can remain effective four hours after application, so you need to reapply these every for hours, if you need to spend a prolonged period of time in an environment where poison ivy is present. Remember that not all urushiol can be absorbed by bentoquatam, so it only delays the occurrence of rashes. If you believed that you got in touch with the poison ivy or some other urushiol-releasing plant, you need to wash off the solution immediately and reapply a new layer of it. 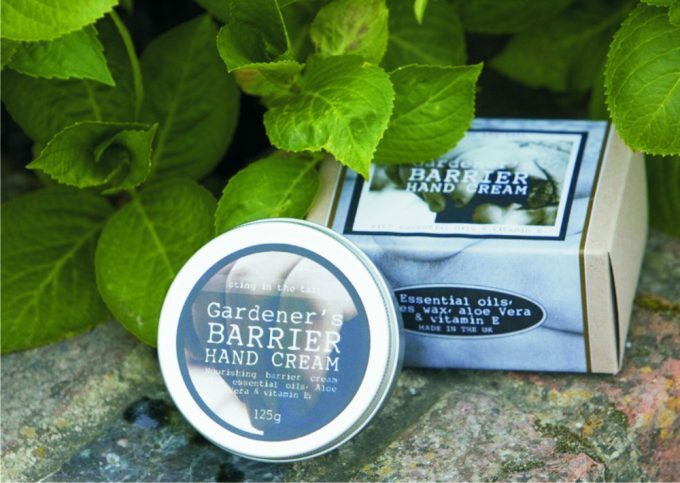 Urushiol barrier creams can be bought or ordered without a prescription. Contact with any urushiol-containing plants may be unpleasant at best, and in worse cases it can be very dangerous, but luckily, there are many ways which can help alleviate symptoms of urushiol dermatitis. Solutions offered, range from natural products to pharmaceuticals. Jewelweed or touch-me-not is a native plant to North America, and native peoples have been using it for centuries to heal various skin conditions. Since some varieties of poison ivy and other urushiol plants are native to North America it is clear the tribes knew of its effect to protect from the rashes. 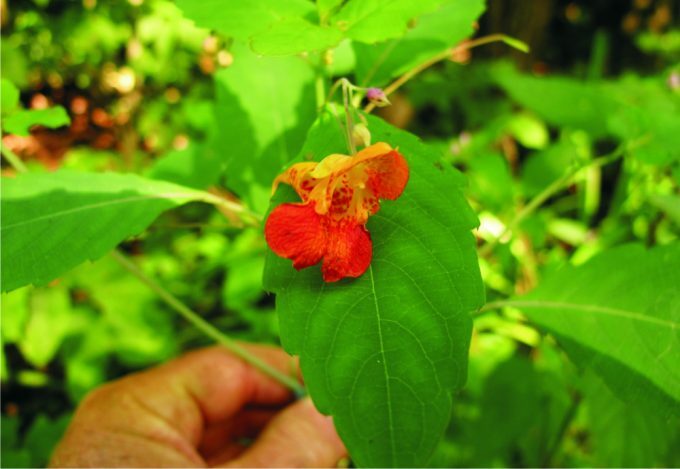 Jewelweed products, such as the salve, is known to have a wide field of application with skin rashes, and its effectiveness goes much beyond healing urushiol-induced bruises, and is known to be very effective in healing insect bites. Jewelweed salve can be bought without a prescription or made at home with natural carrier oil and beeswax. This is a great solution for light to moderate cases of skin irritation without internal symptoms present. There are many other recipes for natural and kitchen-made poison ivy relief solutions, such as oatmeal paste, banana peel, baking soda bath and others. Most of these can help to an extent in lighter cases of urushiol induced dermatitis, but their rash healing abilities are limited. 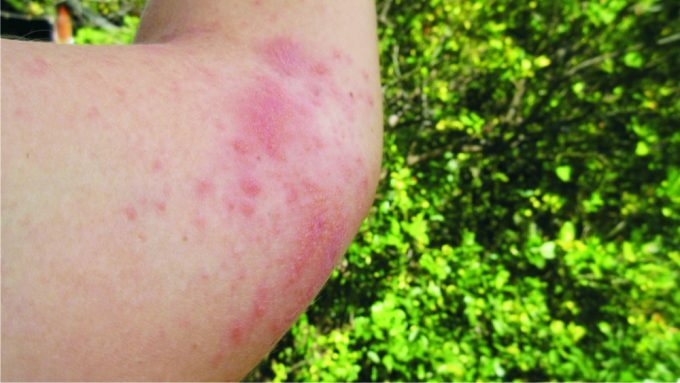 Most pharmaceutical remedies, including corticosteroids such as hydrocortisone are used for symptomatic treatment of poison ivy and other urushiol-related rashes. That means their effect is to turn off the perception of itching and other unpleasant feelings around the affected areas, rather than making the course of the rashes run faster. 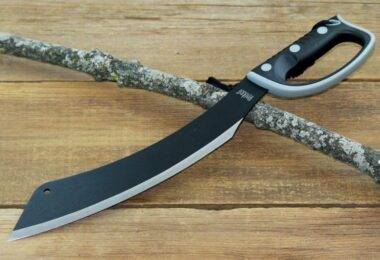 However, since there is less itching, you will have no reasons to scratch the rash, so your wound healing process will remain mainly undisturbed, and you will not risk infections after excessive scratching. 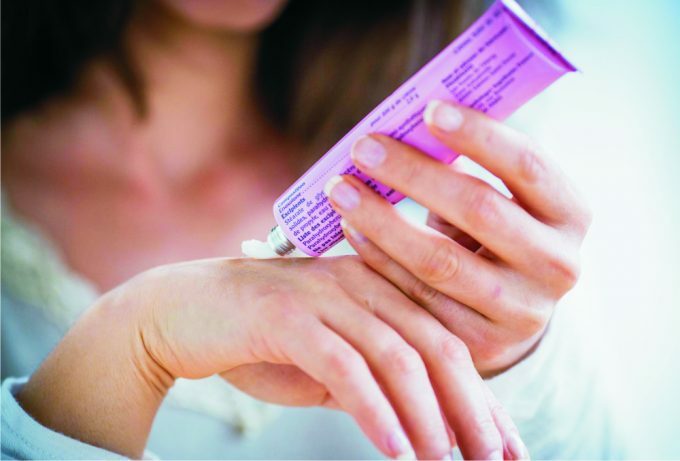 Topical corticosteroids, those applied on the affected skin, are mainly available over the counter, while oral remedies will require a prescription. 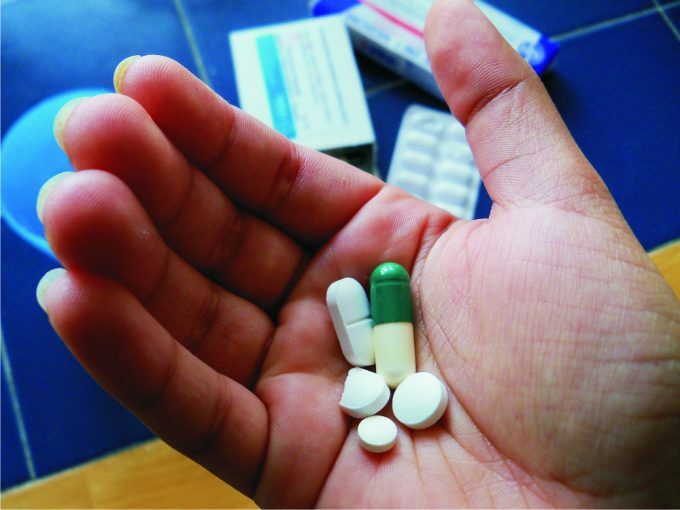 In severe cases of urushiol skin irritation, doctors may prescribe more powerful corticosteroids such as prednisone or triamcinolone. 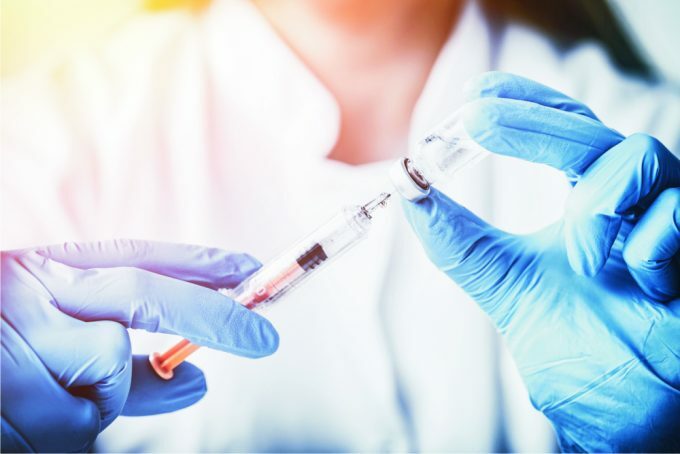 These drugs are immune-suppressants and will slow down the immune system’s response to the severe wound which is in this cases counter-effective in healing it. If you’re planning to hike and visit places where poison ivy, poison oak, poison sumac and other urushiol-releasing plants are present, you need to know how to keep away from them. Urushiol is highly persistent and can’t be fought off easily. Wear long sleeve pants and make the entire your foot and ankle area covered by either pants or socks. 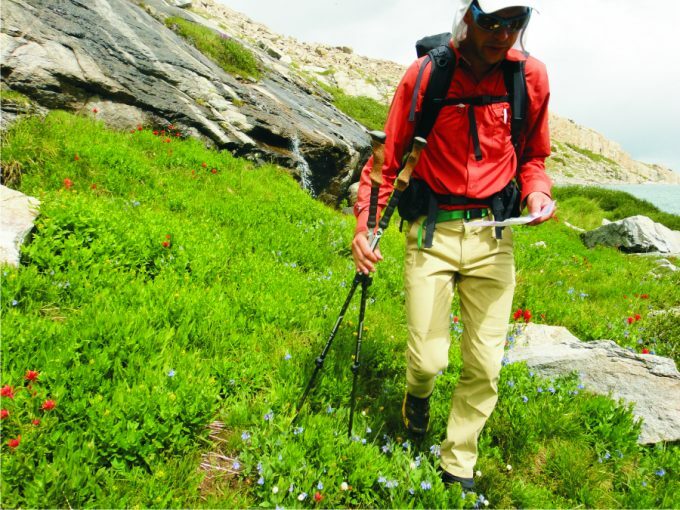 See our article on what to wear on hiking trips for more information. A good thing about urushiol, is that it takes time to penetrate into the sensitive layers of your skin, and can be removed with soap and rinsed with water. If you feel you’ve caught poison ivy you can relieve with soap and some water, which you can bring with you on the hike. Also, it is strongly recommended to take a shower immediately after a hike to remove any urushiol residues that might be remaining in your body. It is also important to be able to stay away from the plant whenever possible, it is the ideal way to prevent contamination. You should only keep on the trail without contact with the local flora whenever there is a risk poison ivy might be present. The ability to recognize poison ivy and other urushiol plant is highly important. Most of these plants appear as vines which sometimes creep up the plants (hence the name “ivy” despite not being related to actual ivy), and poison ivy has leaves which grow as a group of three. 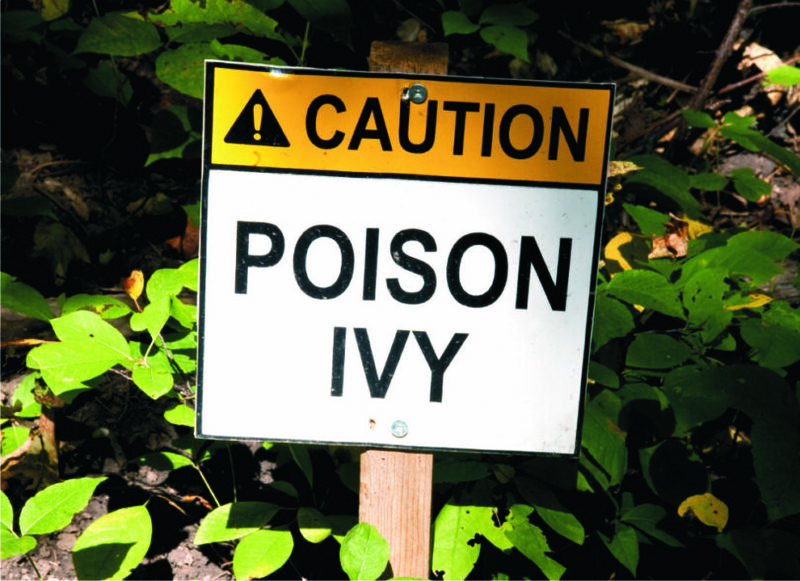 Remember: Poison Ivy Immunity is Limited! If you’ve had previous contacts with poison ivy and other urushiol plants, and had no symptoms of an allergy, it means you are immune to the plant. But remember that you can lose the immunity to urushiol after a number of exposures to the compound. 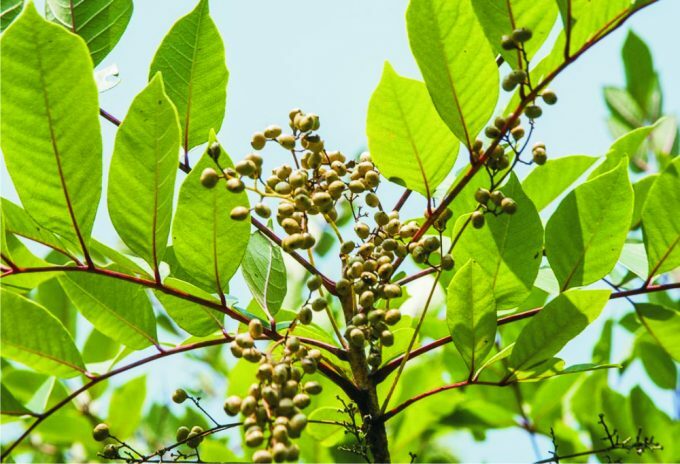 The likelihood of losing immunity to urushiol grows with the amount and frequency of contacts with poison ivy, oak and sumac. While sensitivity from poison ivy can be seen as a great thing, you shouldn’t strive to rely much on it. Also, trying to ingest excess urushiol may significantly reduce your congenital resistance to urushiol allergy. From a doctors’ point of view, no one is actually immune to poison ivy, there are just people who are less susceptible to exposure in the beginning. Stay safe and make sure you have your first aid kits with you at all times. Urushiol is one of the most aggressive allergens found in nature. While just brushing it with your skin in most cases leaves only short-term effects, ingesting the plant may be life-threatening. In some cases, eating poison ivy is claimed to be beneficial in lessening the symptoms of skin exposure to urushiol, but none of these cases are scientifically documented in a way which should make it worthy of further research. Let’s say that there might be a limited number of such cases which does not justify the risks associated with poison ivy ingestion at all. The best, and the only certain preventive measure to poison ivy exposure is covering oneself – with clothes or barrier creams, and learning how to stay away from it. 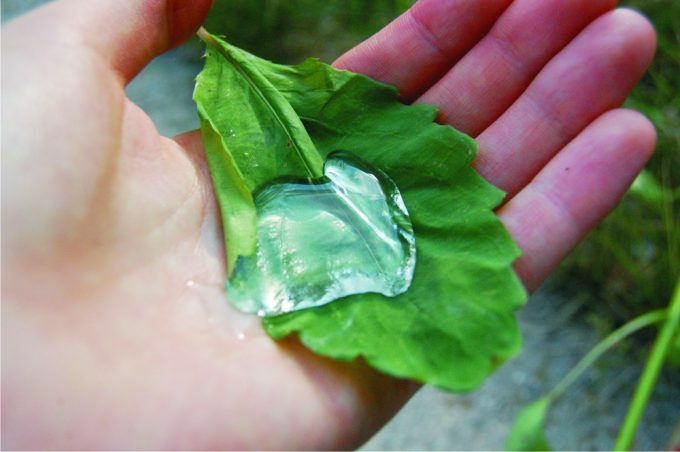 Having soap and water with yourself on the hike and taking shower immediately after it is also known to be highly effective in preventing excessive penetration of urushiol under the skin. Simply, the best amount of urushiol taken is no urushiol at all, even if you appear to be resistant to the allergy to it! To learn hot to get rid of poison ivy and stay safe, see our previous article on this important topic.